Lately life has just been plain busy. I’m talking running around the house like a chicken with its head chopped off, busy! haha Its a good busy though. This little boy has helped keep me sane. Beckham is the biggest mommas boy you will ever meet. He loves to cuddle. Every time I hold him, he instantly rests his head on my chest and cuddles right in. He forces me to take my time to just sit back and relax. When I get too busy, he crawls up behind me and gives me the sweetest look. This look like, “mommy, its time to cuddle.” I pick him up and we just sit and snuggle. I love how much he loves me, and I know one day I will miss these days. So, I’ve been taking every opportunity I can to relish in these moments. He is one special little boy. I don’t know what id do without him. 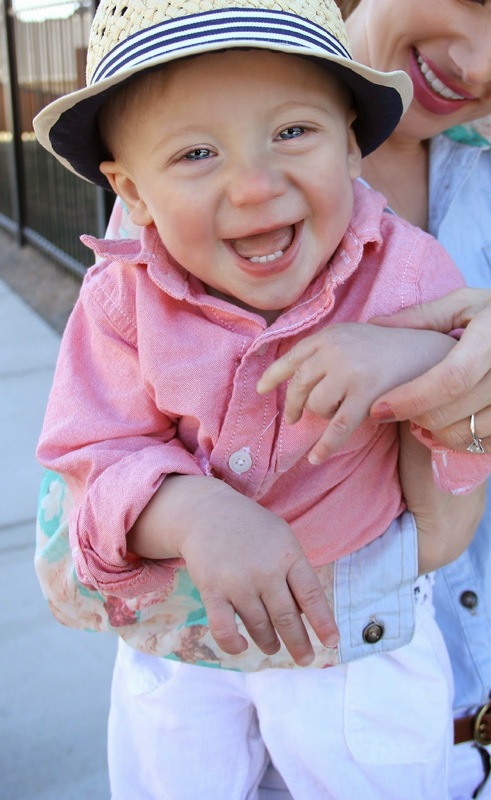 Love you Beckham Luke! Ps. How adorable is this spring floral chambray, and my new favorite bag from Oasap? 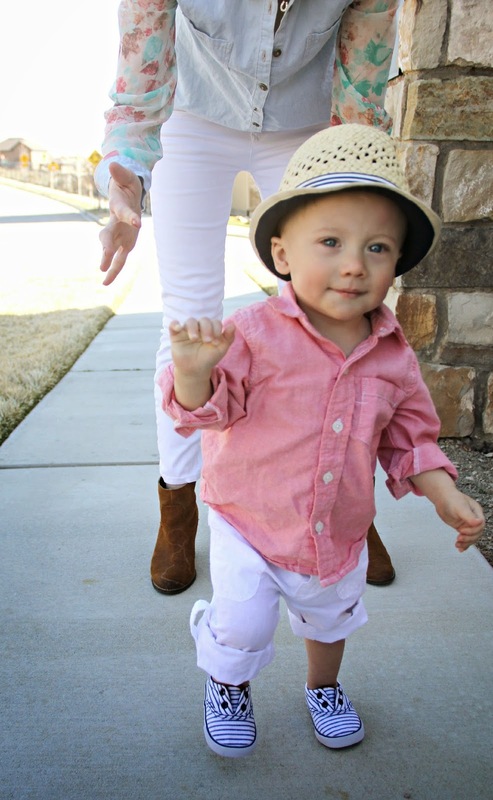 My little munchkins and I are wearing lots of spring colors lately, and im loving it. I apologize in advance for the spring color overload you will be seeing on the blog. Okay, ill stop blabbing now. ITS GIVEAWAY TIME!! See below for details on how you can win a $100 gift card to Egg Baby! Cutest clothes ever!! lucky winner will get $100 EggBaby gift card! To enter to win, complete the entries using the widget below. The Giveaway is open to all U.S. residents and will run for 1 week. Good luck and happy shopping!!! such a cute look very feminine , refreshing and oh your baby is so cute ! Hi there. First time stopping by. My pleasure being here. I am Ada and I am also a new mom. 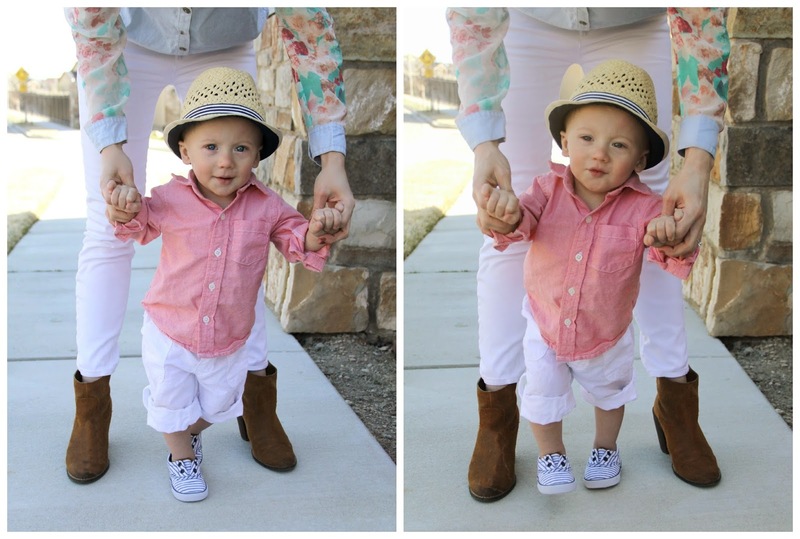 You are looking lovely in the cutest floral+chambray shirt. And your baby boy is gorgeous in his outfit. Awesome giveaway too. Aww, you guys both look so great! 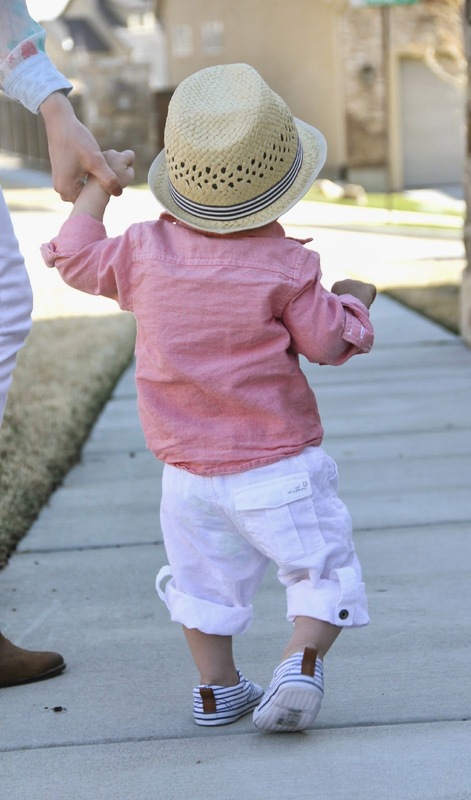 Your little man's shoes are so adorable! And I'm seriously loving your floral top. I just got that exact same bag! I love it and I love how you styled it!! love that bag and top. you look great and your son is adorable! Isn't this bag the cutest! Not to mention the little guy!! These are adorable pics! You are so pretty! Lovely spring vibe! You look gorgeous! 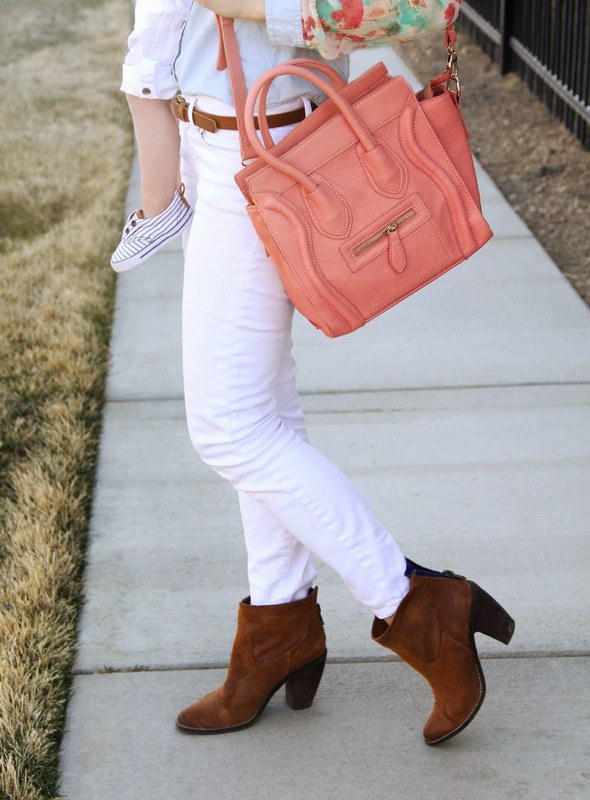 I love how you paired the pretty spring colors with the brown booties – so perfect. And your boy is so darn cute! Super cute! Love how you styled that top! I have yet to bust out any white pants… I may be inspired!